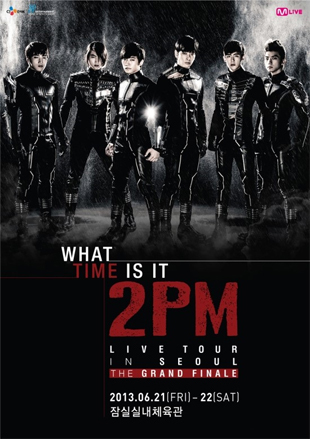 2PM's Live tour "What Time Is It" has really covered much ground: Shanghai, Jakarta, Taipei, Manila, and Bang-kok. They were all successful shows and the grand finale is set to take off in Seoul. Enjoy the show featuring the group 2PM, who have recently made a comeback with the song "Listen To This Song And Come Back", that has toured all over Asia.